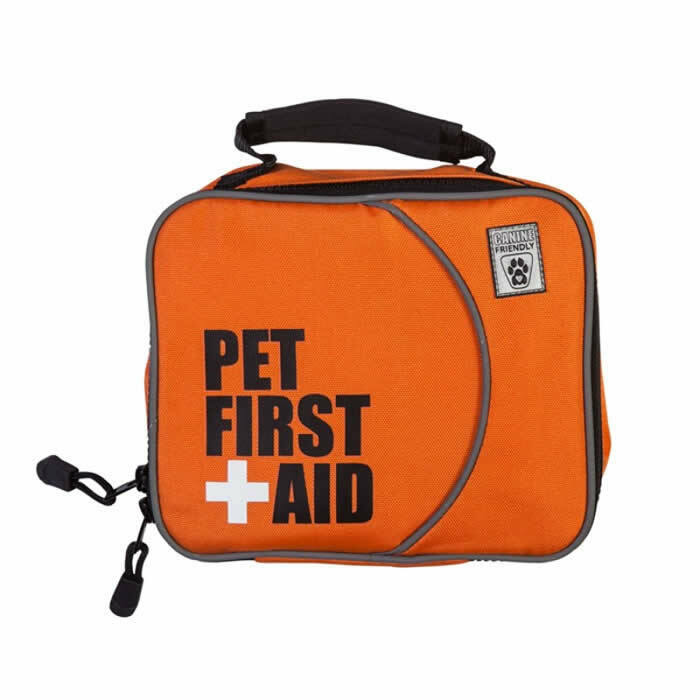 The Pet First Aid Kit from Canine Friendly contains the essentials you need when out camping, on holiday, or or out on the trail. 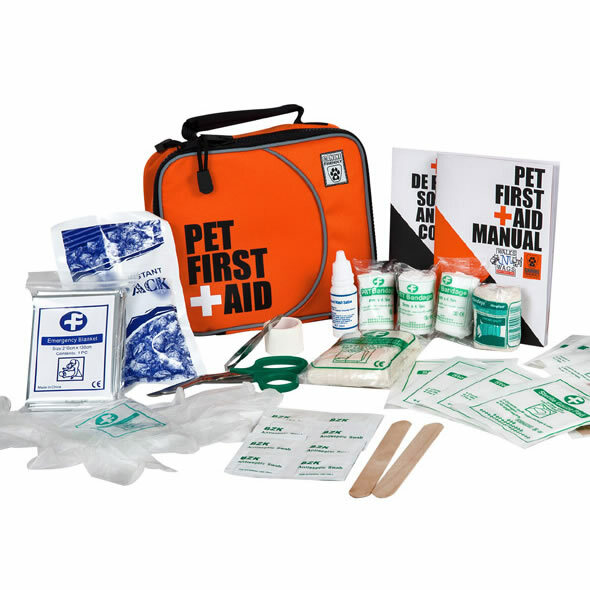 Included with the kit is a First Aid manual that offers easy to follow instructions on many common injuries. 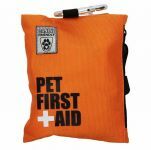 The case organises supplies into clear vinyl pockets, making finding what you need fast and easy. 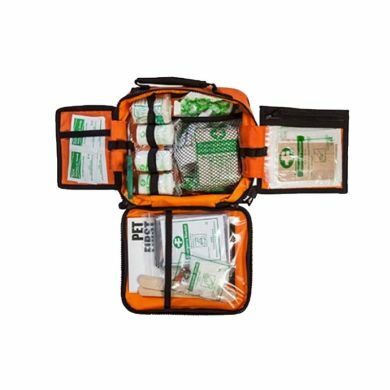 The bright orange fabric makes the First Aid Kit highly visible and even has reflective piping around the edges for low light situations. Read 3 customer reviews of Canine Friendly Pet First Aid Kit. The average customer rating is 5. This is one of the best first aid kits I've seen it contains everything we need in case of an accident with our doggas. Perfect for all outings especially camping. 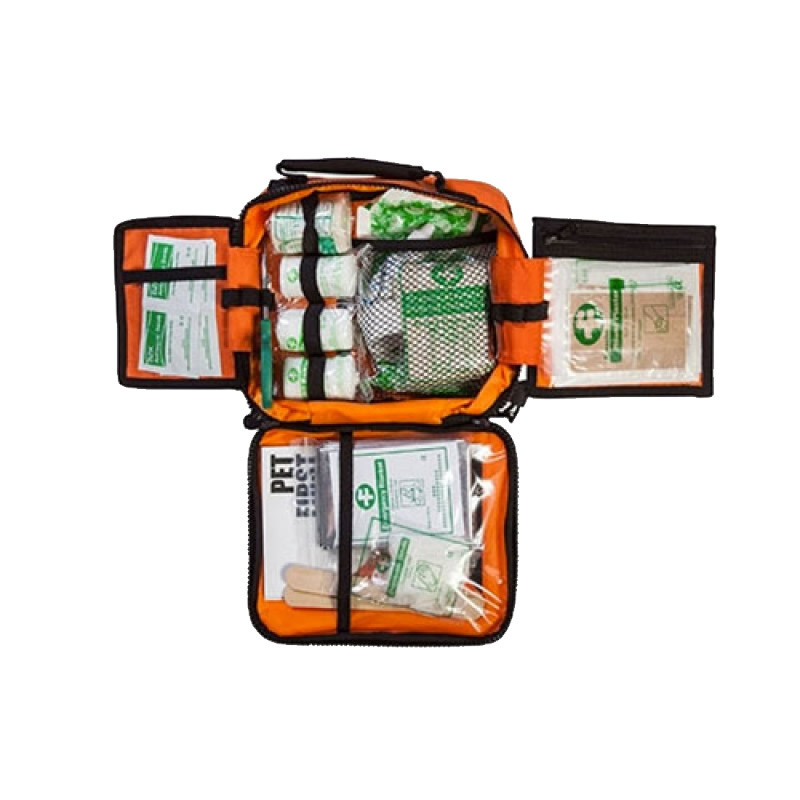 Compact, lightweight and easy to carry for peace of mind... 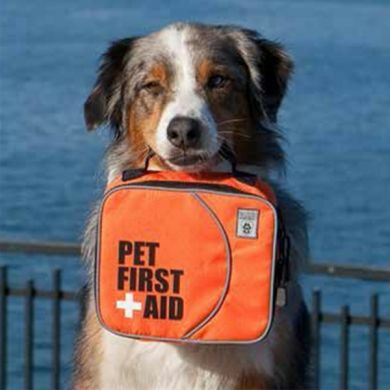 Chops the cocker spaniel comes all our adventures, so carrying a pet first aid kit is a must. Luckily I haven't had to use it on Chops yet - just Chops' accident prone human!! Thanks Chops!